State Reps. Stehen Barrar and Carolyn Comitta, and County Commissioner Michelle Kickline applaud PennDOT and the entire team who worked on the bridge project. A contract laden with incentives for on-time completion and disincentives for delays worked. 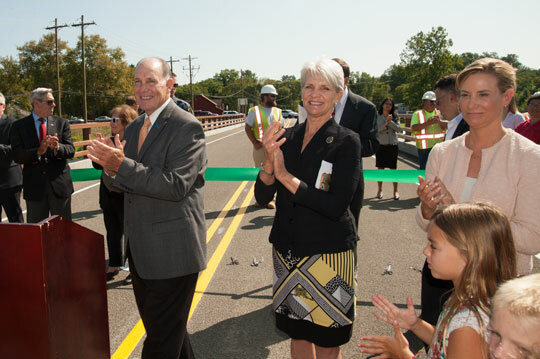 The Route 926 Bridge over the Brandywine Creek opened not just on time, but a week early. PennDOT and local officials held a ribbon cutting ceremony this morning to officially re-open the bridge, though it's not open to regular traffic until sometime later this afternoon. 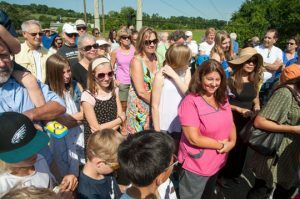 Unionville-Chadds Ford School District Superintendent John Sanville likes the fact that the bridge reopened before the start of the school year. For John Sanville and Marie Wickersham, the reopening is more than a relief. Wickersham is the transportation director for the Unionville School District, and Sanville is superintendent. The bridge is the most direct way to get students between Birmingham Township and Pocopson Elementary School, as well as shuttling middle and high school students between their schools and Birmingham. 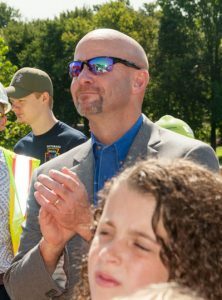 "To call it a relief is an understatement," Wickersham said after the ceremony. "This is a life-changing event for our students." Sanville was equally pleased: "My hope is that the day of the flood is over." The bridge was shut down in February with a promise of completion by Sept. 1. The project included raising the approaches as well as the bridge itself to eliminate frequent road closures when the creek floods. According to PennDOT Assistant District Executive for Construction George Dunheimer, the bridge was also lengthened 120 feet. Work also included raising and realigning the northern piece of Creek Road where it intersects with Route 926 and replacing the Radley Run culvert. 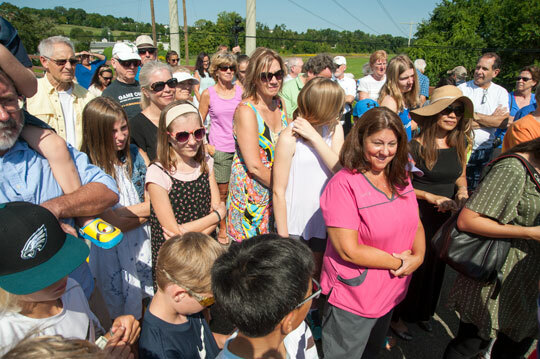 Hundreds of people flock to the Route 926 Bridge for the reopening ceremony. Speaking at the ceremony were state Reps. Stephen Barrar and Carolyn Comitta, and Chester County Commission Chairman Michelle Kichline. Barrar, R-160, the Pocopson's state legislative district, reflected on the years of talking going back to 2002 before the bridge work started this year, and then noted the speed of the work. "We were told [in 2002] that it would take two years, but it was done in less than eight months," he said. Barrar praised the efforts of PennDOT and Clearwater Construction, the company that did the work. Comitta, D-156, a district that includes Birmingham, also commended PennDOT and the construction crews. 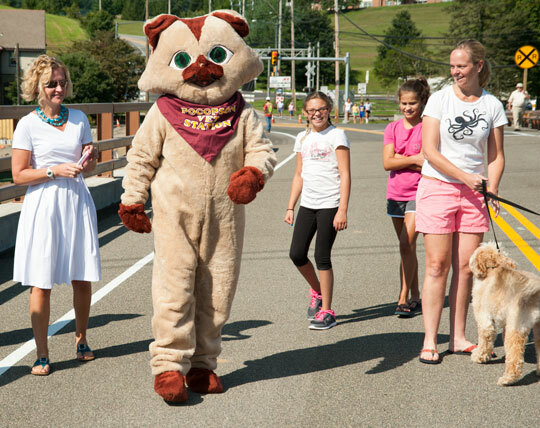 Even the mascot from the Pocopson Vet Station makes an appearance. "Everyone has a story about this bridge and how they got around these last months, how they would get to the post office, Ace [Hardware] or the school. Now it will be smoother. 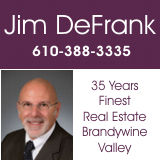 A lot of people complain about PennDOT, but I've learned that PennDOT is really on the cutting edge of new technology and better ways of serving the public." Kichline, too, praised the efforts of all involved. 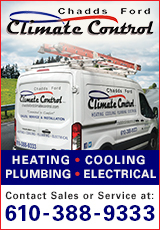 "This project was all done with the help of our state representatives and PennDOT. I can tell you, it's not easy to get things done on time, and as well as you see here today," she said. "The community should be proud of this bridge. It's not only functional and safe, but it's also beautiful." The bridge was originally built in 1937 and then rehabilitated in 1974. The project cost $8,614,000, financed with 100 percent state funds, according to PennDOT.